We are thrilled to announce the date of our much anticipated Wedding Fair on Sunday, the 24th of February 2019 from 2.30-5.30pm. Our Celebration Suites have just been refurbished and will be dressed to impress on the day. The Wedding Team will be on hand to share their experiences and guide you in your planning along with a number of our recommended Wedding Suppliers. Our newly decorated Bridal Bedroom will also be available to view. If you cannot attend the Wedding Fair and you wish to view the Hotel before this date, please contact us directly and we will arrange a private viewing for you. 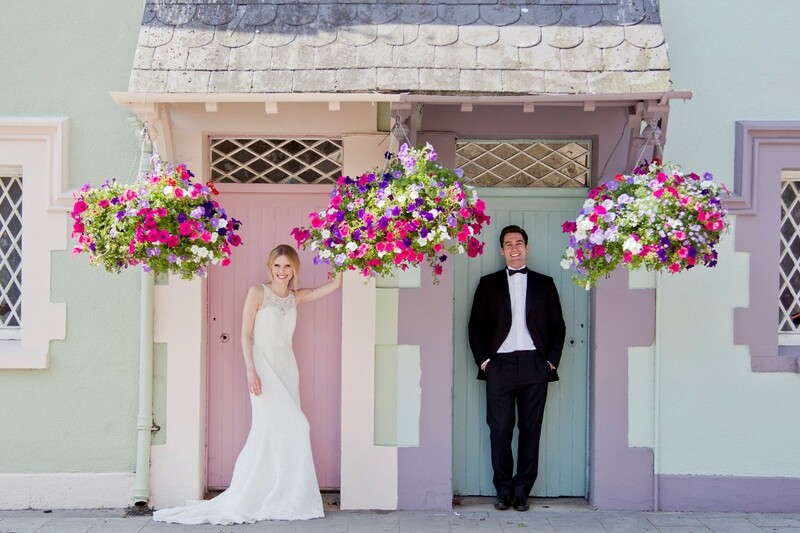 Trim Castle Hotel is located in the heart of the heritage town of Trim, Co. Meath overlooking the Majestic Trim Castle.What better backdrop to your Wedding than the oldest Norman Castle in Ireland, steeped in history in the land of Kings and Queens. 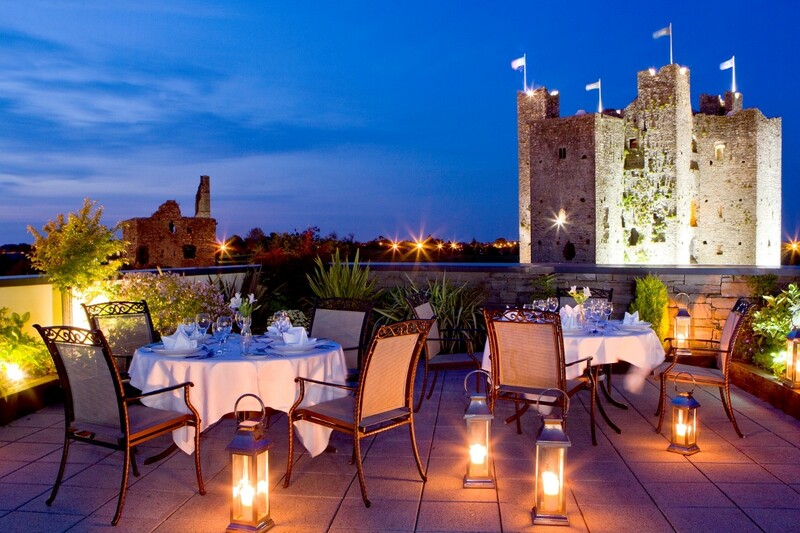 Trim Castle Hotel blends seamlessly into the background of the Castle and offers the most amazing views. Wow your guests with your Wedding Ceremony or Drinks Reception on our Rooftop Terrace overlooking the Castle and the surrounding area. As day changes to night so does the view as the Castle is lit up creating the most romantic backdrop for your Wedding photographs. With floor to ceiling windows in our Castle View Suite, your guests will enjoy a Drinks Reception with a view they’ll never forget. Our Great Hall can host from 100 to 320 guests for Dinner and has wonderful views of the Castle and St. Patricks Church.Every Wedding is designed with care and attention to detail with an experienced team to make sure your day is just as you imagined.Your Wedding Co- Coordinator will be available to help you create the Wedding of your dreams. 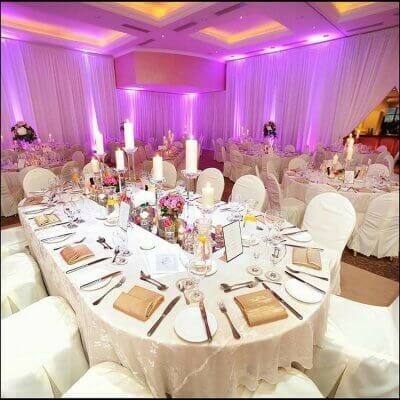 We cater for one wedding per day so you have our full attention. 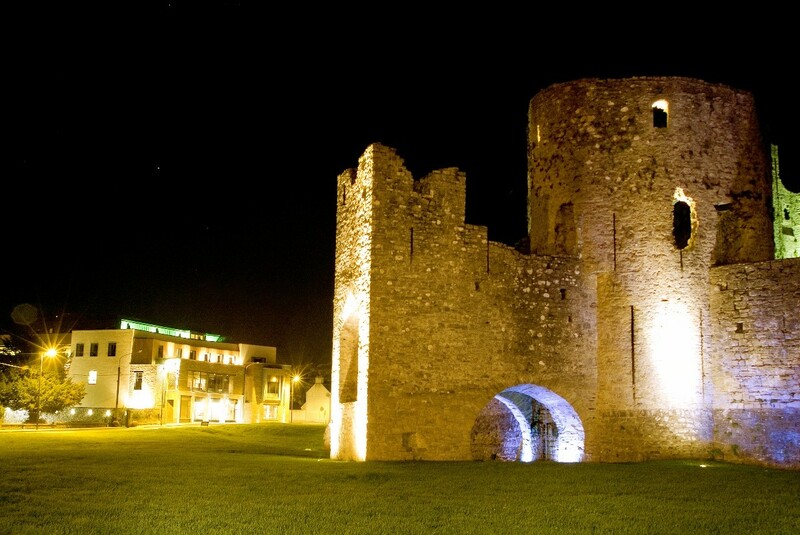 Trim Castle Hotel is a family owned Hotel, renowned for its excellent food and customer service. Located just 30 minutes from Dublin and easily accessible the hotel offers 68 bedrooms including family rooms and a Bridal Suite.Packages start from €50. 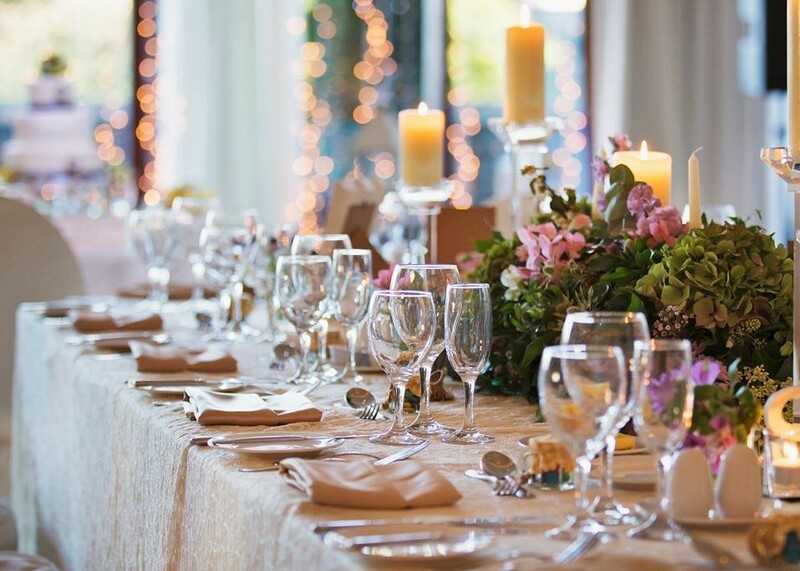 Why not contact one of our team today to arrange a show around and discuss your Wedding plans. We look forward to hearing from you. 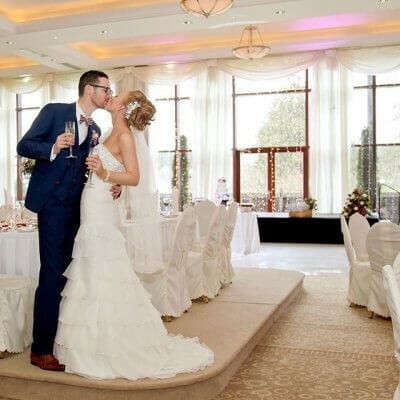 Trim Castle Hotel is a Castle Wedding Venue, Hotel Wedding Venue, Civil Ceremony Venue in Meath servicing weddings throughout the local area including Trim, Navan, Drogheda, Cavan, Louth, Westmeath. 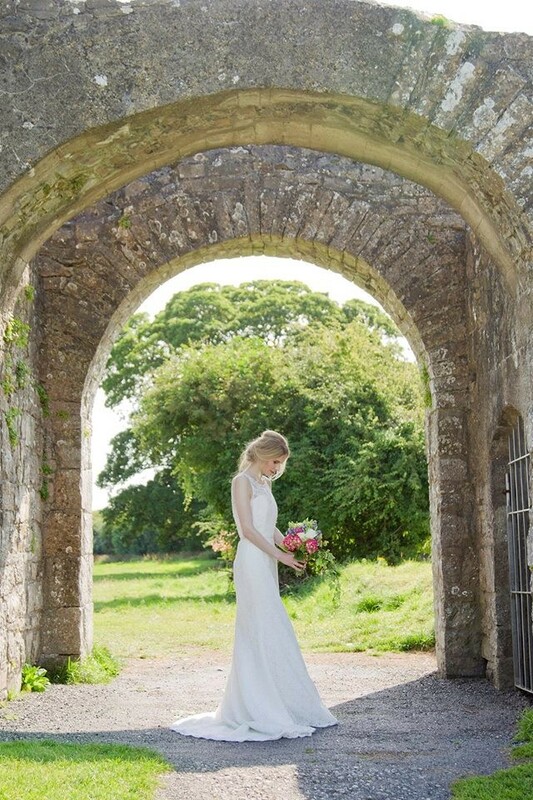 Trim Castle is a renowned Castle Wedding Venue, Hotel Wedding Venue that has been part of the Castle Wedding Venues, Hotel Wedding Venues industry since 2006 specialising in Weddings. We had our wedding in Trim Castle Hotel on 23rd February 2019. For anyone thinking of getting married here, Do It!! The wedding team in Trim Castle are amazing. They go above and beyond for you and even though they have weddings all the time and they meet so many people, they really make you feel like you are the only people to ever be married there. There isn’t one thing I could fault. Any feedback we’ve gotten from our guests was great.. the food was delicious, the staff were so attentive and nothing was a problem for them and the hotel in General was beautiful! We wish we could do it all again!! Trim castle staff were amazing from the start. The food on the day was delicious. The set up in the room, the decorations, the table settings .. everything was magicial, even nicer on the day than I ever could of imagined. We got married in Trim castle last November & the experience from start to finish was amazing and all our requests, no matter what, were catered to with no problems or issues. 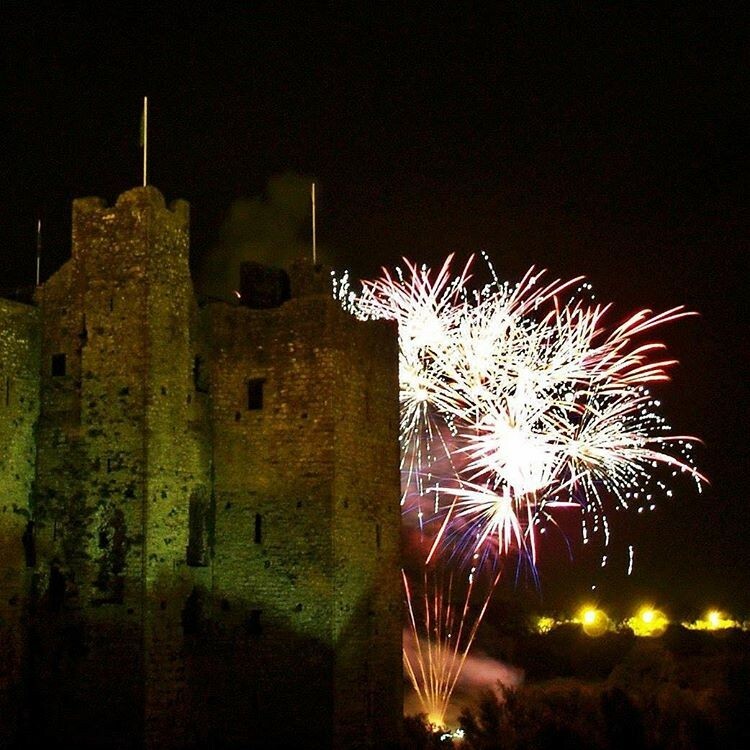 There were two main reasons we choose to have our wedding in Trim Castle. The first was the function room. When we viewed it on the opening night we saw it was perfect for what we had in mind. It was very spacious and well laid out. The second reason we opted for Trim was the staff. From the first day we went to view the hotel right up until we left following the wedding all staff members were nothing but friendly, helpful and accommodating to all our needs. Even down to the staff who served us during our meal tasting who made us feel very special. A big thank you must go to Jacinta our wedding coordinator for all the work she put in in organising everything on the lead up to the wedding. Everything we asked for was done to perfection. All our little additions (including little bits we brought ourselves) were laid out the way we wanted. Also to Claire in reservations who had endless patience when it came to dealing with room changes. A special thank you must go to Joe. Meeting Joe the week before the wedding really put us at ease. Knowing that he would be there on the day running the show. He was very friendly and helpful with all our requests and made us feel 100% at ease, he was the first to greet us as we walked into the hotel and made sure everything ran smoothly and on time. We also heard from guests at the wedding that they were looked after extremely well and were very complimentary of all the staff throughout the day. The food throughout the few day was beautiful with all our guests very complimentary about it so an extra special thanks to the chefs and all the catering & bar staff. We really appreciated everything that the hotel did for us in the lead up and in particularly the few days of the wedding. We had our wedding in Trim Castle Hotel in November 2018 and it is a fabulous venue. We cannot speak highly enough of the professionalism of all the staff who made our day so special. So many of our guests commented on the beautiful venue, the friendly staff, the magnificent food, the beautiful rooms. We couldn't have asked for more, our expectations were exceeded. Trim Castle Hotel was amazing, I can't say enough about this hotel. The venue is beautiful, we got married on the rooftop, the views of the castle are great for the pics. The great hall was like a fairytail. All our guest said it was like a movie. Michael and his team really made the day so special, they looked after us so well. They went above and beyond. If I was to do it again I wouldn't change one thing. They really know how to look after their guests. I can't recommend this hotel enough. We can't wait to go back for a visit. We had our wedding reception in Trim Castle this October, it was the best day of our lives. From start to finish our experience was excellent we could not fault anyone or anything about whole day. Excellent overall. We had our wedding in Trim Castle Hotel and really can't recommend the hotel and team there highly enough! It's a venue with everything you want and need, great guest rooms, beautiful reception rooms and beautiful views! The view of the castle is simply stunning! The food was absolutely gorgeous! Our guests didn't stop talking about how good it was! Honestly not one guest didn't enjoy the food! Laura is simply brilliant! We met a few wedding co ordinators on our search for a venue and hands down Laura was the best! Easy to deal with and so helpful!And just really good at general advice to help with the planning! We were blown away with how amazing the room looked (we did get draping and light up dance floor) and how good the staff were at putting out all the bits we brought! They are defo professionals and know what they are doing, in very good hands! The options of packages were excellent and we loved the flexibility which allowed us to make our day what we wanted! No questions were too small or too silly! from Claire dealing with reservations and Gillian helping us during our tasting to Laura, Joe, Michael and Mags on the day and of course all the other bar staff and servers, they were really something else. All our guests loved the service and couldn't praise the staff enough. A special thank you to Joe and Michael dealing so quickly and efficiently with a serious incident at the dinner. Again excellent wedding venue which ticks all the right boxes where you are truly in very experienced and professional hands! Absolutely amazing wedding venue. All staff from planning to the weekend of the weekend and upon checkout were all fantastic warm and accommodating. Trim castle hotel were so helpful and their attention to detail is outstanding! Everybody is so helpful & everybody is still raving about the food, service & location of the hotel. Thanks very much, Niall & Miriam. Amazing venue with the best staff team, we cant thank them enough for making our day so special. We had a humanist wedding in the hotel and photos taken outside the castle and stayed in Trim for our second day too. Trim Castle Hotel is a spectacular place to hold your wedding.Food was perfect as we're the friendly staff. Very helpful and went out of their way to have needs met. The rooms were very comfortable. Overall, I'd recommend as a wedding venue. We enjoyed an amazing weekend away at this hotel and can't recommend it highly enough! 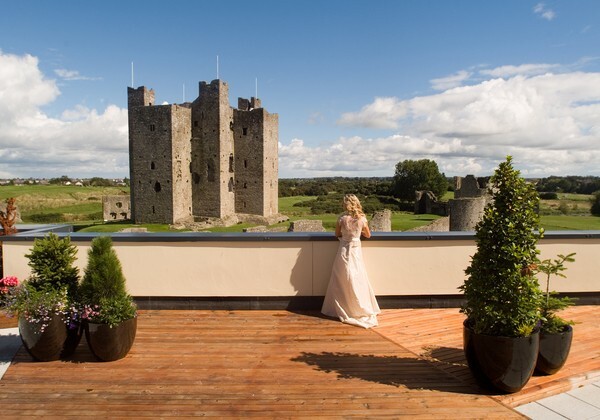 If you are considering a wedding near Dublin, Trim Castle Hotel is well worth checking out. The location is breathtaking and the hotel makes the most of all the views, perfect backdrop for photos. The staff are very attentive and the food is 5 Star. Your guests will be talking about your day for a long time to come! The perfect place for a perfect wedding! We have found Trim Castle Hotel to be nothing but professional, personal and polite. All of the wedding team have been enthusiastic and listened to all of our questions and requests with a very open and honest mind. 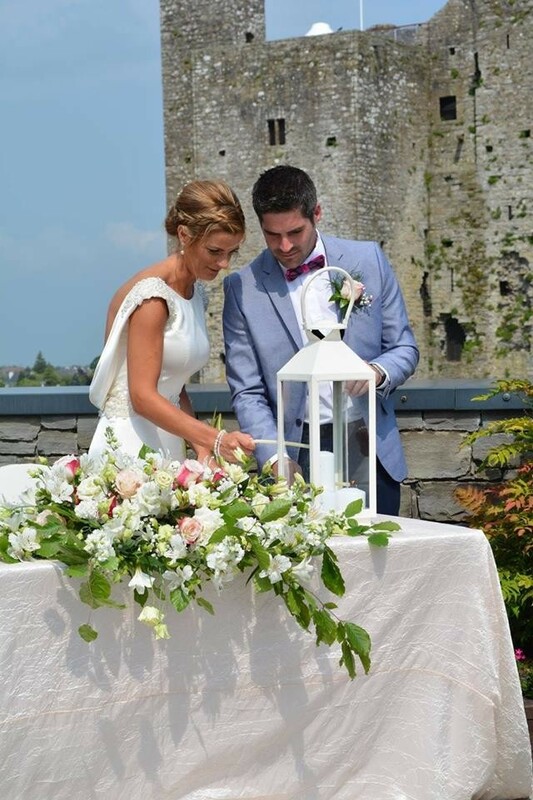 We trust their professional advice thoroughly and we are so excited and confident that our wedding day will be truely magical and our wishes be carried out by Trim Castle Hotel with extreme precision and professionalism. We had a wonderful wedding at the Trim Castle Hotel. The day was absolutely flawless, and the staff were fantastic. The wedding team organised everything on the day perfectly, and were so attentive. The food was incredible, and all dietary needs were well catered for. Loads of our guests have commented on how well organised the day was, and how lovely all the staff were. Such a gorgeous venue, I cannot complement the hotel and staff highly enough. Wouldn't hesitate to recommend Trim Castle Hotel! Everybody was friendly and helpful and nothing was too much for them. The food was amazing and all our guests commented on how great it was. Thank you to all the team for making our wedding day perfect! The location is great, the food is outstanding, the room setup included is so beautiful. Though the staff were the stars of it all. They were always on hand to help. Even the night before they called up to ask if they could help to carry down my supplies. They work long hours, but are always so cheerful and friendly. The only fault I could find if I had to give one is the water feature on the stairs isn’t the nicest to take photos in front of. This wasn’t an issue though because we were lucky enough to have a nice enough day to use the rooftop terrace. The rooftop was great for the guests. They could get their own photos with the castle and could see us getting our photos from up there. So we didn’t just disappear for photos. They made the day perfect. I’d recommend Trim Castle wholeheartedly. Couldn't fault Trim Castle at all. Everything we requested they delivered on. The day ran without a hitch and their wedding team are fantastic. Really put you at ease, very friendly and personable, no request was too big r small. They made us feel like VIPs on our big day and in the build up they were really easy to contact and a pleasure to deal with. Couldnt recommend Trim Castle Hotel highly enough. All the staff was amazing!! Totally recomend it!! Brilliantly run company, wedding ceremonies are their bread and butter. They streamlined the day perfectly, my bride and I didn't have to worry about a thing. We knew they were good (from word of mouth and online reviews) but the quality they produced on the day exceeded our expectations. This was a destination wedding and I had to rely on email for all of my communication with Trim Castle Hotel. They were understanding of my needs and replied to all of my questions quickly and with care to detail. I gave them decorations with an unclear idea of how I wanted them set up and they were able to take my vague idea and turn it into a carefully crafted, magical design. Throughout the process I was either unsure or questioning different options and they showed experience and professionalism when dealing with me through email. On the big day they attended the ever need and issue that came up. Each staff member was kind and supportive. The food was beyond exceptional. I have never had better food and each course was flawless. I believe we got the deal of a century when we booked Trim Castle Hotel because we received so much more than we could have hoped for. We had our wedding reception at Trim Castle hotel and it was amazing. The staff were fantastic in particular Joe. He just can't do enough for you or your guests. The food was fabulous and the views from the venue are stunning. Can not recommend enough. I would highly recommend Trim Castle Hotel to any couple getting married. The service, attention to detail and professionalism of the staff here was excellent. Nothing was a problem, and so many of our guests complimented the beautiful meal, efficiency of the staff and the very pleasant atmosphere in Trim Castle Hotel. 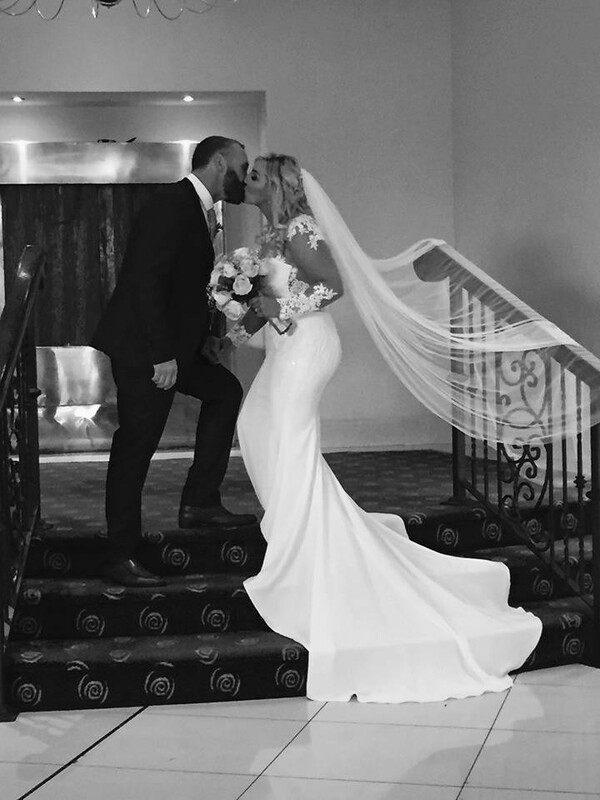 I cannot praise the hotel staff enough for making our wedding day the most fantastic day we could ever have dreamed of. Thank you to all in Trim Castle hotel. We could not fault the hotel and staff in any way. The staff went above and beyond to make our day relaxing, memorable and easy going. The food was fantastic and our guests had a thoroughly enjoyable day and night. A fantastic venue and amazing staff. We had the most magical day and Trim Castle Hotel were a huge part of that. Our planners Laura and Jillian were wonderful to deal with, always responding to emails immediately and in great detail. The venue itself is gorgeous, with its views over Trim Castle from the rooftop garden and residents bar. The food was fabulous, with exciting meal options beyond your stock standard. We received many compliments on the food. The hotel rooms were lovely to stay in and the tidal suite looks right over the Castle. 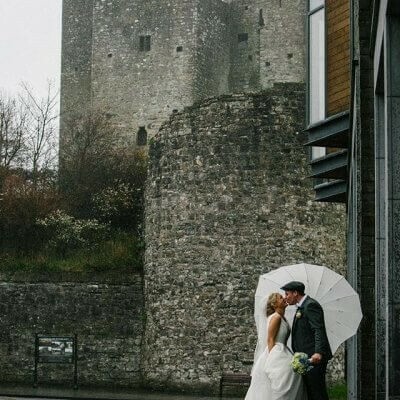 We couldn't recommend Trim Castle Hotel more and we are so pleased we chose it for our wedding day! Could not have been more happy with our choice of venue for our wedding reception!!! From the moment we walked in we knew it was the perfect place!!! Laura and the rest of the staff were amazing. Very friendly and they were on top of everything. Our guests had only praise for the venue too. I would highly recommended Trim Castle Hotel for anyone looking for a venue with views, amazing food and extremely attentive staff. Thank you for making our day as wonderful as it was. We recently had our wedding reception in Trim Castle Hotel. From begining to end we found the staff at the hotel extremely friendly and helpful could not do enough for us or our guests we cannot praise them enough! They made our day so special, food and service was amazing. would recommend this fab hotel to any couples getting married in the near future!! We had our Wedding at the hotel in June 2017. From the moment I walked through the front door, I was impressed by the beautiful hotel and the professionalism of all the staff. The reception staff were friendly and welcoming.I was given a large room the night before the wedding which was the perfect size to get ready in the morning of the wedding. All the guests were happy with their rooms and each room give them a different view of the castle. The day of the wedding Laura, Jo and all the staff made the day run smoothly. The food was delicious and everyone was impressed with the quality of it. I highly recommend the hotel to any couple who is considering it as a wedding venue. We organised our wedding while living in Australia, which became a lot easier when we met Laura. From the very first email, Laura was polite, quick to respond and made everything easy for us. The hotel is very family friendly and a great location to get all the family together. We had guests who had travelled from Australia who loved the history of the castle, and decided to do the castle tour the day after the wedding. Would definitely recommend Trim Castle as a wedding venue for couples who have still not found theirs. We had an absolutely amazing day for our wedding in this hotel, from the very first time we visited and met Laura the wedding co-coordinator, to the excellent service we received from all of the staff in the lead up to our wedding, on the day itself and the following day when we had a BBQ for our guests. The food is excellent, the wedding room is beautiful and the staff are some of the nicest hotel staff I have ever dealt with and I could really not recommend them enough. We really couldn't recommend Trim Castle enough they went above and beyond for us. They really couldn't do enough for us. Trim castle was absolutely amazing and so helpful with me planning a wedding from another country! I was so worried, but they did an amazing job. Their staff is absolutely wonderful! I'm not very good at reviews but... here goes. From the start we found trim castle hotel and their staff so easy to work with. Our day was what we call perfect.. went exactly how we wanted it to go.. they are great wedding venue and would highly recommend them. David and I celebrated our wedding here in March. We had the most amazing a day ever! The lead up to the wedding was so stress free, and all emails were replied too with all the information required. (There were quite a few from me:-) ) We booked it a year in advance and loved going to visit at all the wedding fairs before our special day. We always found something different each time we went and the wedding team got to know us and made it very personable. We have nothing but great memories of our special day. The day itself was flawless and the special touches, (especially at the meal) were amazing. It matched my theme and such a nice thoughtful addition to our day. The service was next to none. Nothing was too much trouble. We had a couple of unexpected guest turn up on the day, but the hotel assisted straight away by added the extra people or a table. The food was delicious, our guests were raving about the food and the hotel service. The staff are incredible and looked after every little detail. I'd left boxes with instructions and they were all actioned as I wanted. We have been a couple of times since to the hotel, and the personal service we still receive, and the fact they still remember us, makes it feel like we were Not just a number, but part of the hotel! David and I had the most magical day , and certainly one that we will remember forever. The hotel exceeded all our expectations and we would recommend to anyone who would like a stress free wedding to book with them. The views of the castle are fantastic, and the staff are always willing to go above and beyond. Well done trim castle hotel! It was a day we will never forget and one that was made all the more special with a fantastic team from start to finish. Special thanks to Joe, Michael, and all staff behind the scenes. Amazing job!!! We loved this venue, from the very moment we stepped through the front door. The staff, we met were always very friendly and helpful. We booked our wedding in May 2016 and got married in February 2017. Laura and Jillian were an absolute pleasure to deal with. On the big day, we really were made to feel so special. Laura, Jillian & Joe were very good to us on our wedding day. Nothing was a problem. The Grand Hall was beautiful. 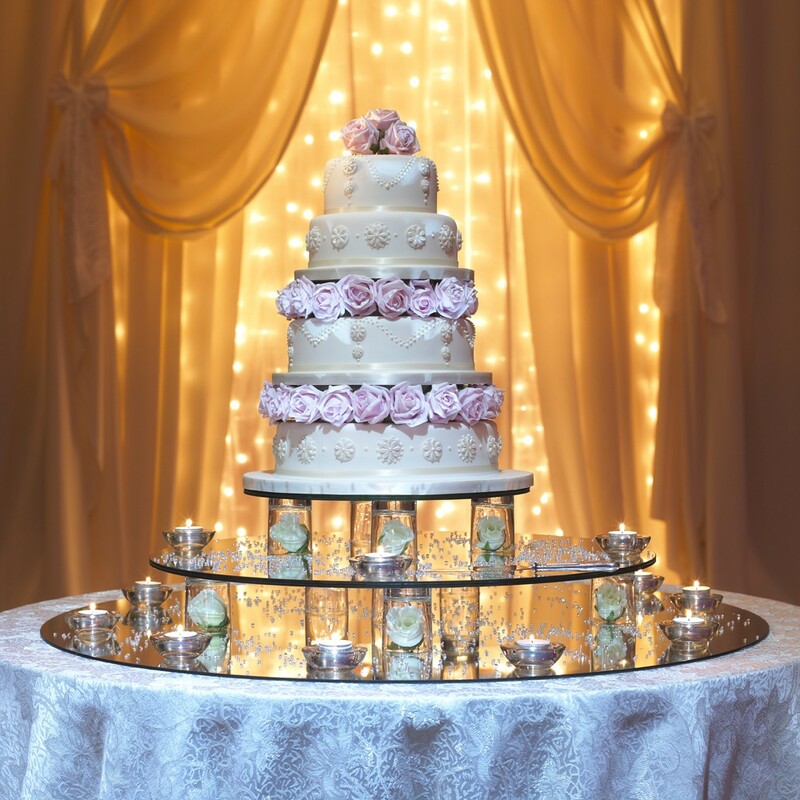 Our wedding cake was made to be such a centre piece in the room with a beautiful table and a light shining down on it. There was lots of room for dancing and the bar was well staffed. We would highly recommend this venue, for the staff, the amazing reception room, the view of the castle and the value for money. We are not from Trim and just wanted a weekend away. Delighted with our decision. Organising a wedding is easy when you are dealing with such lovely people. Thanks again to all in the Trim Castle Hotel. 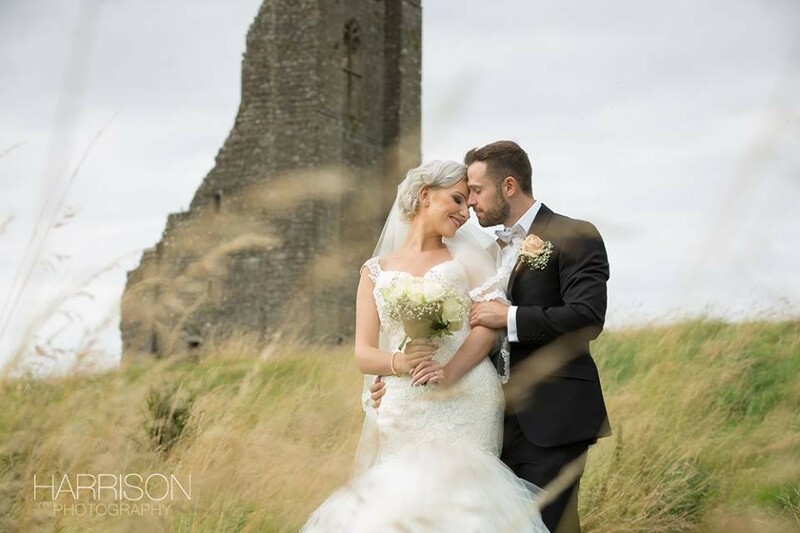 Our wedding day was perfect from start to finish, Trim Castle staff were very good to deal with, very helpful and food was very good, there is noting I would have changed on the day, room décore was beautiful and we just had the most amazing day, highly recommend this venue. I can not fault this hotel or staff. They are so friendly, nothing you ask is too much. They really try to make your day the way you want it. The wedding planner was quick to respond to our questions and helpful in suggestions for good vendors such as florist, cake maker ect. The staff make you feel very welcome and are only too happy to help you. The food was outstanding and plentiful. I've received a lot of compliments from our guests about the service from the staff, how helpful they were, one guest told me that a staff member offered to hold her drink while she ate her canapés. The management of Trim Castle Hotel should be very proud of the team they have and the excellent customer care that is received. Usually as a bride and groom know every little bit that is planned for the day however the management of Trim Castle Hotel even managed to surprise us with a few little things that made the day more personal and special for us. I would recommend this venue for weddings without hesitation. Fantastic service and the day itself couldn't of gone better. From booking the wedding right up to the actual day I didnt have to worry about a thing. Laura the wedding coordinator looked after everything. The staff on the day were wonderful. Our wedding experience with Trim Castle was flawless. From the day we met them to set a date to the day of the wedding I can't fault them. Laura was always so welcoming to us and available to talk or meet throughout the build up. They were very flexible when it came go food choices for arrivals and for mains at the meal....'it was our day' in their eyes which is exactly how you want to feel. On the day I didn't need to approach staff as they had everything run so smoothly and the meal was gorgeous (so much so that almost a year on our guests still talk about it) Joe and Michael were in charge of the service in the room that day, they are so warm and friendly and they kept checking in to make sure I was happy with how it was all running. This is all so important to enjoy your big day ???? We had the most amazing wedding at Trim castle hotel. From start to finish the staff and organizers at the venue were a delight to deal with. We live in Toronto and we were a little bit worried about how easy it would be to plan a wedding from abroad but it was super easy. They were always available to answer questions and responded immediately to emails etc. As soon as we checked in the day before the wedding we were treated like royalty. Joe was our wedding co-ordinator there and I have to say he would not let us stress or lift a finger on the day. The venue was beautiful and everyone had a fabulous day. I would 100% recommend this venue . Had our wedding in Trim Castle Hotel 20th Oct 2016, had my heart set on this venue before we even got engaged! The staff go above and beyond to ensure everything goes to plan on the big day, couldn't fault them. Everything about our day was perfect and Trim Castle Hotel is the perfect venue with great staff. Amazing venue, amazing staff couldn't of helped enough, they helped make it the best day of our lives! The ballroom was a fantastic size, with a beautiful view of the castle and a great sized dance floor. We had so many compliments from our guests about the food too. Everyone we dealt with at the hotel from day 1 was so friendly and helpful especially Laura and Joe. We loved every minute of our wedding reception at TCH and enjoyed spending the next few nights there too. This is the perfect venue for wedding. Food was amazing and staff were great. I have to say we had our dream wedding at trim castle, everything I wished for and more! They made you feel as though you were the only people to get married. So personal and accommodating . We had an amazing day! From our first meeting with the wedding coordinator to the day itself, the staff were very attentive, friendly and helpful. We have only good things to say, as did our guests. We were delighted to have our wedding in Trim Castle Hotel as we had our first date at the castle some years previous so it is a place packed with memories ???? Thank you for a great day and all your hard work! Sean, a waiter, received many praises from our guests, he went out of his way to help them. Many thanks ? In general, the wedding day went well and the service was great on the day of the wedding. The only thing that could have been improved was some of the communication prior to the wedding day. For example, we travelled from Canada to meet with the wedding coordinator and had many commitments during our trip in a short amount of time. We arrived on time to our appointment and had to wait for over an hour to meet with her. Then for our food tasting, we weren't informed that it would be a full meal, rather than just samples. We ate dinner not long before the tasting appointment and ended up wasting a lot of really nice food. If the coordinator had mentioned that it would be a full meal, with wine and dessert, we could have made it a nice night and enjoyed the food instead of wasting the food. Overall, I don't have many complaints, just minor communication comments that could have made the experience excellent rather than just good. I would definitely recommend the venue to anyone who is looking for somewhere to have a wedding. The area was beautiful and great for pictures. A bit late with the review but I can not recommend this venue enough. All of the staff are so friendly and go above and beyond their duties. Particular shout out to Jillian, Joe and Michael who made my day so memorable and special. 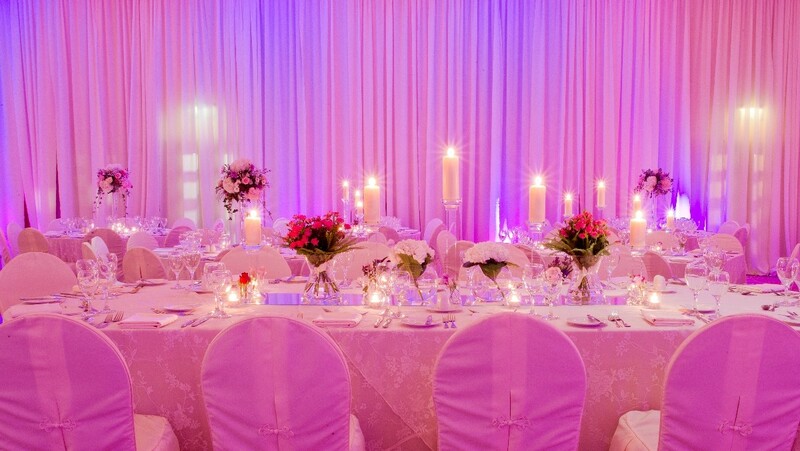 The room was set up beautifully and decorated so tastefully and it was stunning. The area for guests to go and smoke is so close so it means you do not lose anyone! The food was absolute gorgeous and all the guests raved at the quality. Another important thing was the prices at the bar which were very reasonable and I was happy to know my guests were content and not feeling they were ripped off as I have seen at other venues. The room was a pleasant temperature I was never to warm or cold and doing all the dancing I did that night without feeling I was in a sauna was an added bonus! The effort the staff put in to make you feel special on your big day is second to none. I honestly felt like royalty that day. The accommodation is also beautiful and nothing is too much trouble for these guys. Very professional and and amazing experience, I could go on and on and I can honestly say I have no negative experience of the hotel that day. They are amazing at their job and I am truly happy I picked here for my special day. From start to finish the team at Trim went above and beyond to cater for all our needs. No task was too big or too small. Michael looked after us on the day and made sure everything ran smoothly. I would highly recommend this venue and their amazing team. Trim Castle Hotel was the perfect venue for our wedding. All of the staff were attentive, professional and extremely helpful and friendly. I would highly recommend TCH as a wedding venue. Absolutely amazing! I can't recommend this hotel enough. From start to finish the staff were brilliant. Any time we popped into the hotel the staff would remember us and talk to us, this includes time when it wasn't by appointment or their wedding showcase. The hotel itself is beautiful. We had a lovely sunny day and got great picture on the balcony with the castle behind us. 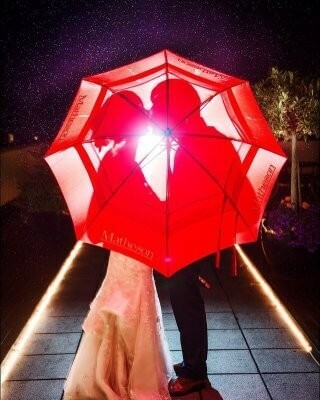 With the floor to ceiling windows in the reception we could have even done this on a rainy day. 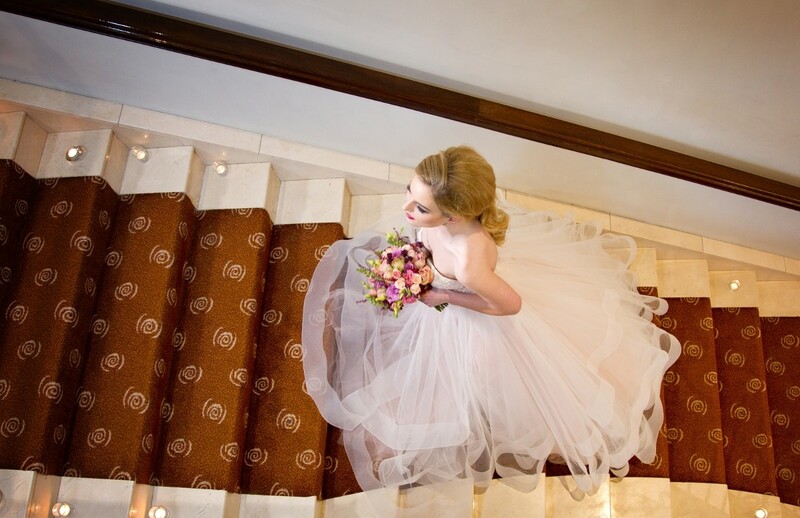 The hotel has a beautiful staircase by reception leading to the function room which we got amazing photos aswell. The staff where so helpful with every request we had and vwleey quick to answer every email. Our wedding guest keep mentioning how amazing the day was and they even mention too how amazing the staff where. It was so good my uncle booked the hotel for his wedding a few days later. I found Trim Castle a beautiful venue with extremely competent and lovely staff. They made me feel like mine was the most important wedding they ever hosted. I looked at three Leinster hotels, Trim being the last, and it was my favourite by far so I was expecting it to be the most expensive but they actually gave me the best deal by far too. I highly recommend this wonderful hotel particularly if your having a bigger wedding (ours was 262 and fitted very comfortably). Wish I could do the day all over again! 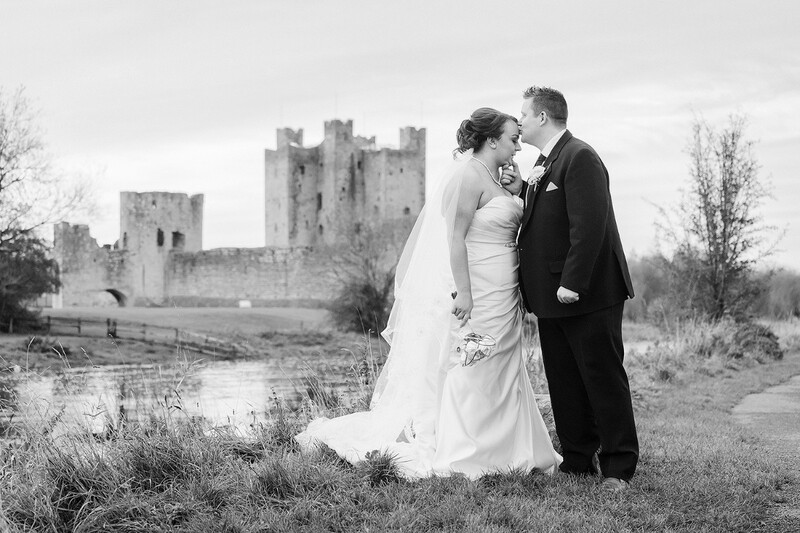 We booked our wedding in Trim Castle for March 2016, as soon as we arrived in Trim we knew it was the perfect venue for us, the room was stunning and all of the staff where so lovely, it was impossible to beat!! A huge thank you to Sinead & Laura who helped make our day so special, there with us every step of the way. We could not have asked for a better day, the room was just as I imagined, the food was impeccable! Michael & the staff make an excellent team. We felt like royalty :) a huge thank you to all at Trim Castle, I would not hesitate to recommend. 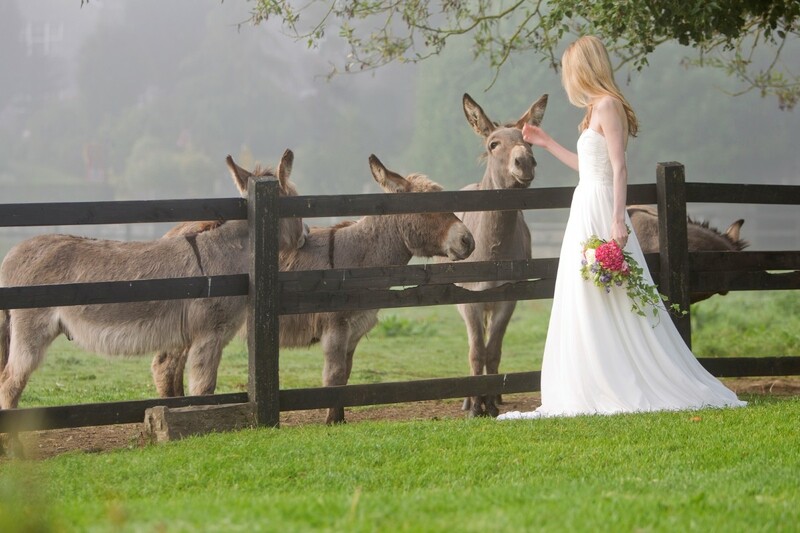 Looking for a wedding venue!look no further truly remarkable in every sense. Sinead our wedding planner, all we can say is thank you,amazing. Only a phone call or email away with any query we had.Helped us the hole way and from table planning, menu tasting, to our own personal ideas. On our arrival we received a loving warm friendly welcome, and so did all our guests, from what we heard back. Food was perfect service was very professional silver star waiting all the way.The room what a view, looking out at the castle with the lights on the complete wedding setting . Fantastic venue, staff could not have been more helpful! Nothing was a problem for them, extremely efficient. Service was first class, food was amazing and the venue followed all my directions for display to a t! Made our wedding day perfect. Guests couldn't believe how good the service was and food was fabulous. We will recommend this hotel as a wedding venue to everyone we know who is engaged! 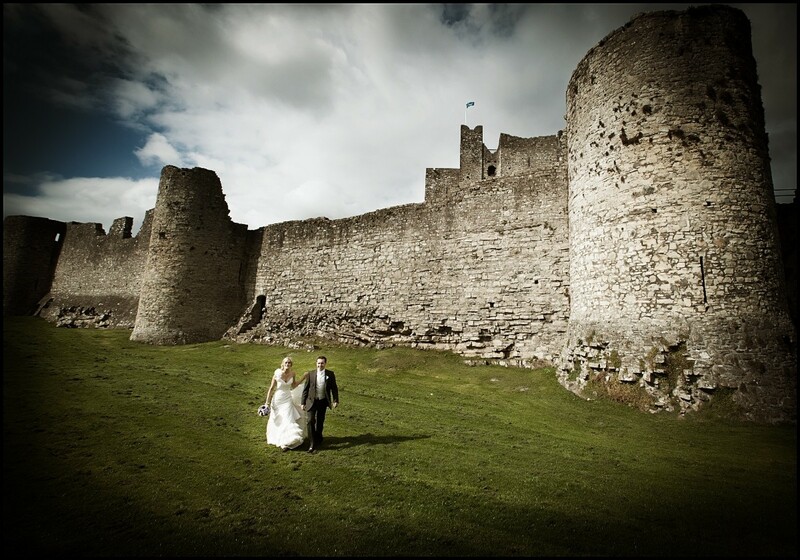 Trim Castle is just a fab venue to have your wedding- food, staff, views, all fab. Have to say Laura the wedding co-ordinator was brilliant- she sealed the deal! !lovely to girl to deal with and very accomadating!! Top class-Trim Castle ???????? This a fantastic hotel, we had a brilliant day and night. The staff were very attentive and the food was outstanding. Would highly recommend it. Perfect day in every way very professional experienced staff on hand throughout entire process did everything we wanted on the day effortlessly would highly recommend ? 2 words - Simply amazing..... Everything from start to finished with regards to our wedding was fab. From the first time we met Laura, to our discussions and requests, to the help received on the run up to our wedding and to the staff on the day...who where just the best. Again from Laura, to Joe and to the rest of the staff were just fantastic on the day. So to was the food, service, the whole lot. 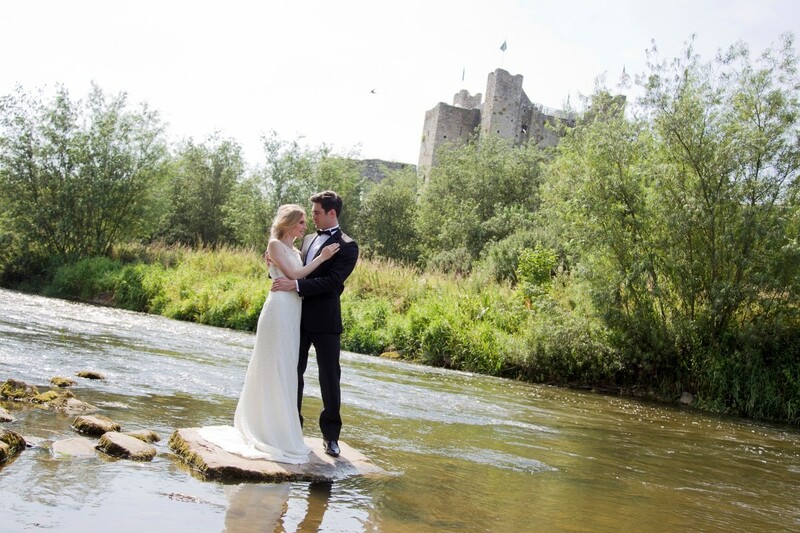 I would recommend to any couple getting married to really consider Trim Castle as their venue. Our day from start to finish was always going to be amazing by with the help from Laura, Joe and the team it was made PERFECT. Nearly one year on from our wedding, I have amazing memories from our special day. The staff at Trim Castle were brilliant. Michael was in charge on the day of our wedding and himself and the team did a fantastic job. Everything ran so smoothly, couldn't recommend them enough. Myself and my bride had the most relaxed and enjoyable weekend in the Trim Castle Hotel. The hotel management and staff were so well organised and calm that it made us feel relax and calm ourselves, which on your wedding day is very important! The food was incredible as well, tasted immaculate and I have heard so many reviews back from guests that they would return just to eat in the in-house hotel restaurant. On top of all this, Trim as a town is just so happy joyful and relaxed. 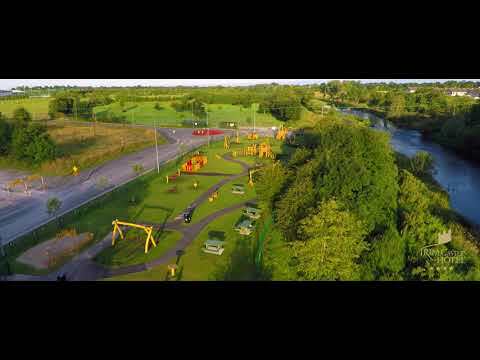 We had visited Trim about 10-15 times before our wedding and we left every time delighted we choose the town as the base for our wedding. The church next to Trim Castle Hotel was beautifully prepared by the local florist, whom also supplies the flowers to the hotel. 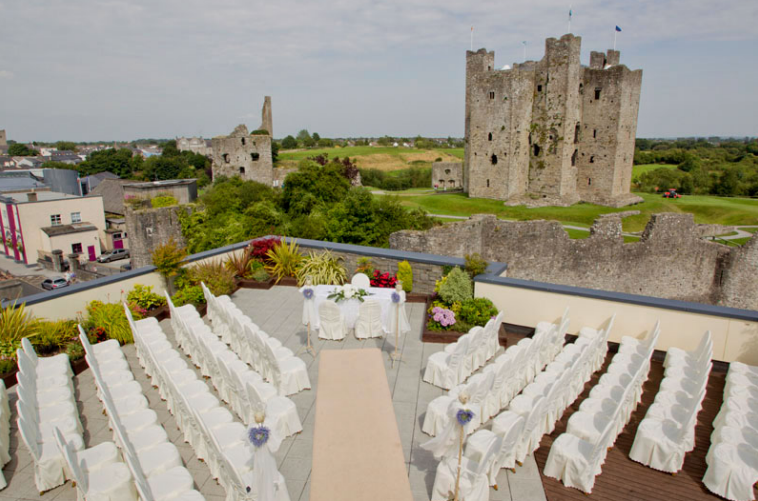 Just my advice is if you are between two or three places as we were, then choose Trim Castle Hotel, if not for the views from the balcony (where you can have a bbq the next day), then for the services and piece of mind that it provides during the planning of your wedding. Final note, almost all of the services in the Dublin area have worked in Trim Castle Hotel and all that we have spoke to had enjoy their experience, I think even when the service provides like working in the hotel that about sums it up! The staff could not have done more for us, anything we suggested was never a problem. Could find fault with absolutely nothing. Staff were amazing from Laura the wedding co ordinator to the waiting and bar staff, to Michael the event manager they were so helpful, friendly and professional. Nothing was too much trouble and our wedding ran like clockwork with a few nice surprises thrown in on the day. Food was amazing and our guests are still talking about how nice it was. Honestly could not recommend it highly enough. Amazing 4star wedding package for amazing value, these guys live and breathe wedding, you couldn't be in better hands! 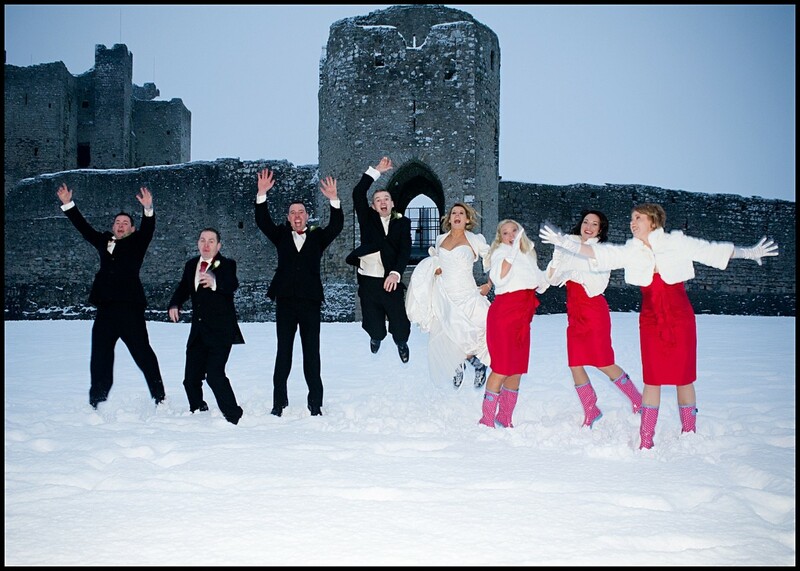 We had our wedding in trim castle in Jan 2014. We were delighted with the day. Laura was so helpful with every aspect of the planning. The staff were extremely friendly and professional. The wedding meal was fantastic. The room was beautifully decorated. We couldn't recommend Trim Castle enough. It is a fantastic venue and great value for the service you receive. I honestly could not have asked more anything more. It was a wonderful day and their invisible, unobtrusive service ensured it went off without a hitch. Trim Castle Hotel was perfect for us. We got married on the 28th April 2011 and had a beautiful sunny day. The castle in the backround from the balcony was brilliant. We loved everything about the hotel and all our guests have complimented on the food and style. Thank you again to all the staff and the hotel for making our day so special. I'd recommend Trim Castle Hotel to all. We got married here 10th Sept 2010.From the first time we walked into hotel we knew it was were we wanted to have our reception the staff were so helpful and friendly,and hotel was stunning.On the day they could not have done enough for us everything was perfect out of this world everyone complimented on the food and how well everything was done.I would highly recommend Trim Castle Hotel to anybody getting married if you want your day to be perfect book here.Thanks to all the staff especially Jillian,Amy,Patrick and Claire you could ask them anything and they would help you no problem.